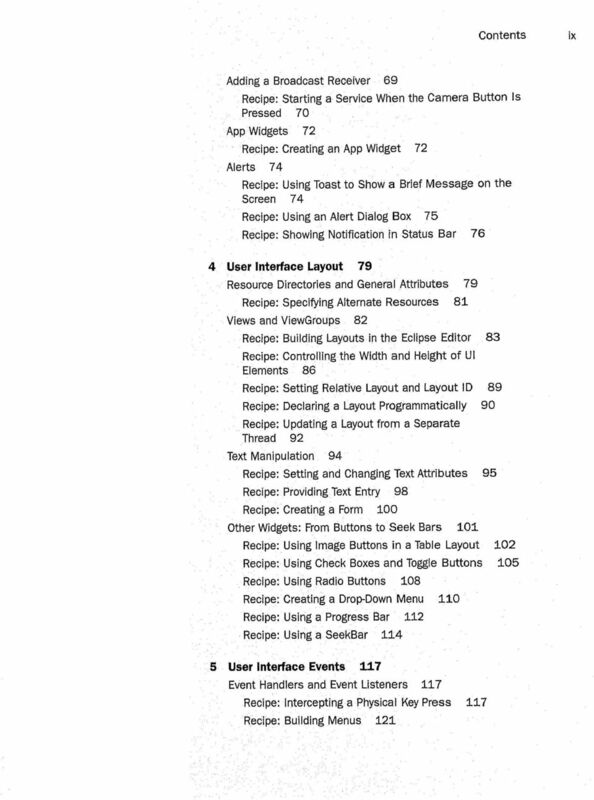 Download "Developer's Cookbook. Building Applications with. The Android. 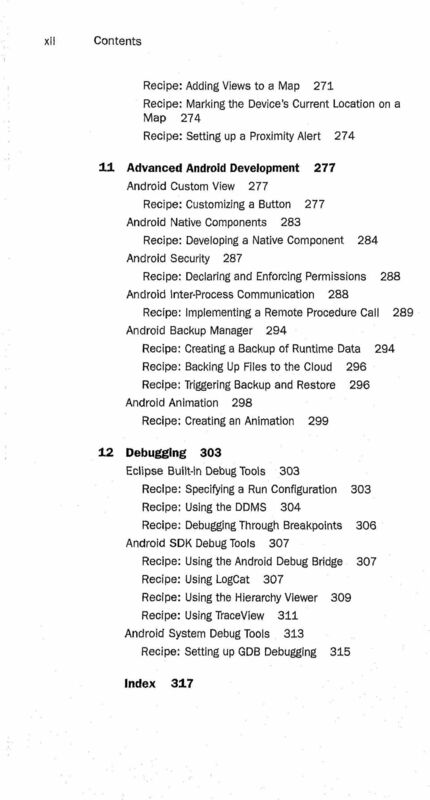 the Android SDK. A Addison-Wesley. 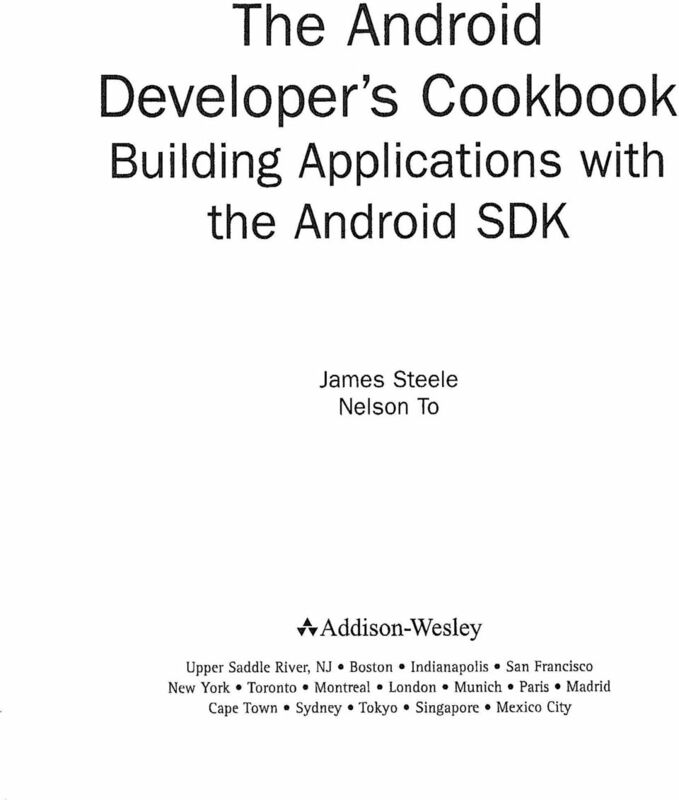 James Steele Nelson To"
Android in Action. Second Edition. Revised Edition of Unlocking Android MANNING. (74 w. long.) W. FRANK ABLESON CHRIS KING ROBI SEN.
Building. Applications. in the Cloud. Concepts, Patterns, and Projects. AAddison-Wesley. Christopher M. Mo^ar. Cape Town Sydney. 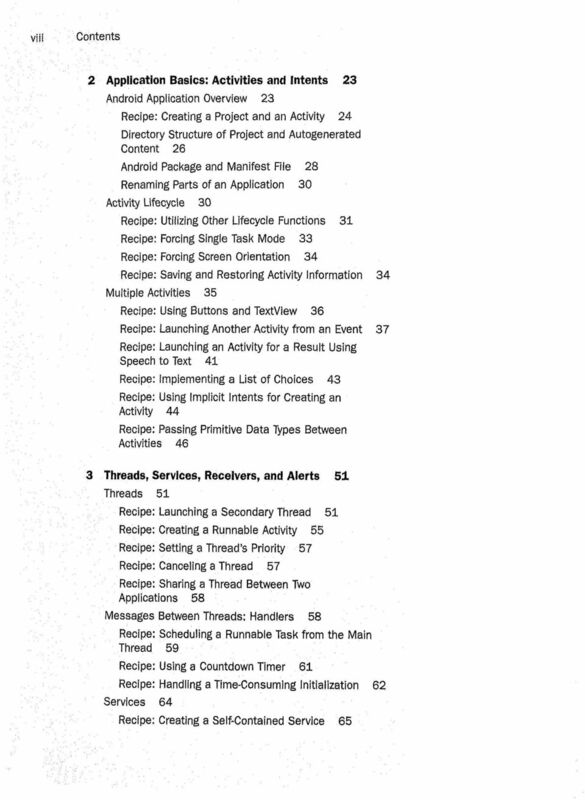 ANDROID TRAINING COURSE MODULES. 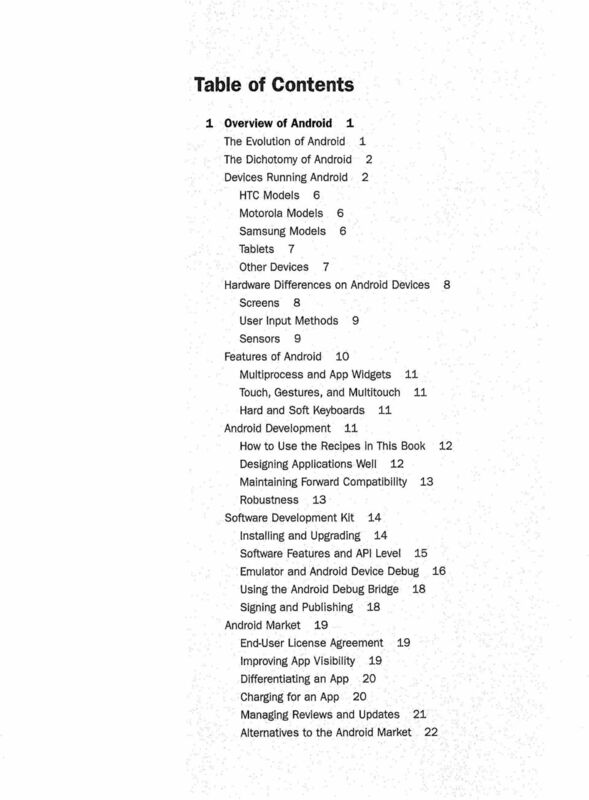 Module-I: Introduction to Android. Introducing Android. Installing Development Tools. Using the Emulator. 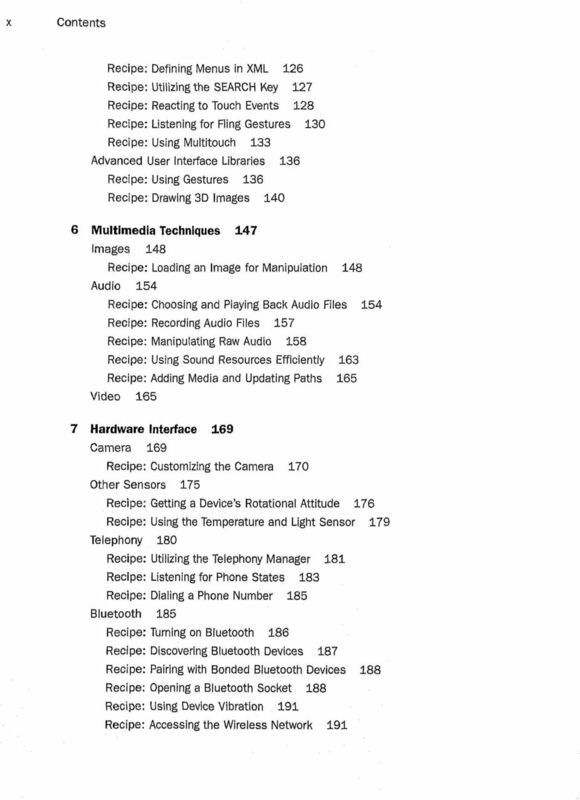 SECOND EDITION Learning ios Programming Alasdair Allan Beijing Cambridge Farnham Koln Sebastopol O'REILLY Tokyo Table of Contents Preface ix 1. Why Go Native? 1 The Pros and Cons 1 Why Write Native Applications? 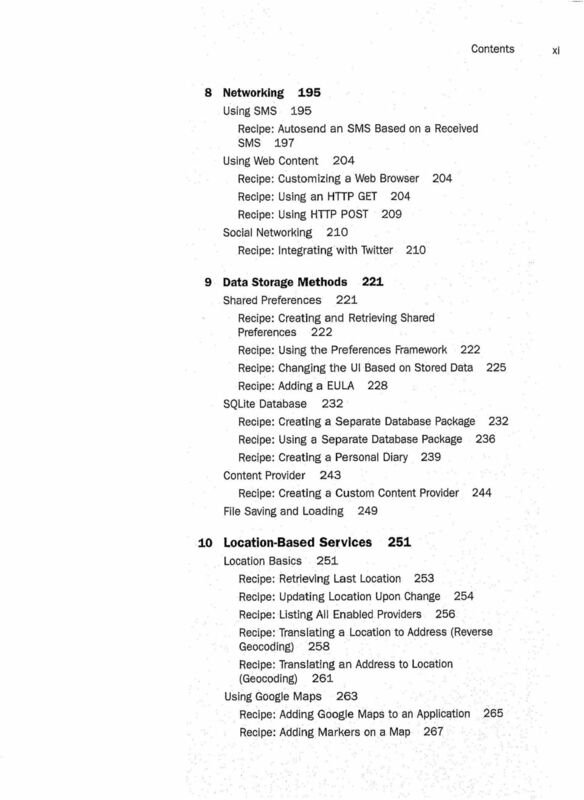 SharePoint 2010. Overview, Governance, and Planning. (^Rll^^fc^ i ip?"^biifiis:'iissiipi. Scott Jamison. Susan Hanley Mauro Cardarelli.